A very simple design yet perfect for little girls who dreamed to be a cheer leader. This will motivate them to achieve their dreams because the room itself will often reminds them about it. Perfect tips! 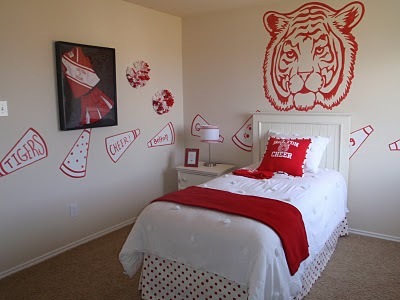 My daughter will love it, we are about to redecorate her room! Great tips. this post give me lots of advise it is very useful for me. Thanks for sharing!